A trip to Northern League Division One leaders Dunston UTS awaits South Shields in the semi-final of the Durham Challenge Cup. The tie will be played on Tuesday, February 26 at the UTS Stadium, with kick-off at 7.30pm. It promises to be a stern test for the Mariners against a Dunston side which defeated Gateshead 2-1 in the quarter-final of the competition on Wednesday. 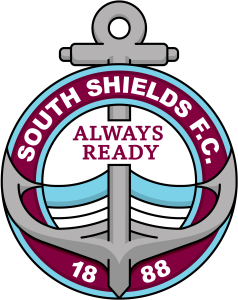 The two clubs have not met since a 3-1 Northern League win for Shields at Mariners Park in November 2016. The Mariners’ last trip to Dunston saw them emerge 4-2 winners a month earlier. Dunston have enjoyed a tremendous season so far, having reached the fourth qualifying round of the Emirates FA Cup, when they were beaten by Gateshead. In the league, they currently hold a one-point lead over Bishop Auckland and Consett, and have two games in hand.